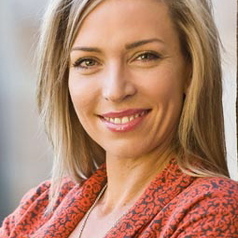 Dr Bronwyn Lea is an Australian author, critic, and editor. Bronwyn Lea's research interests include contemporary Australian and American poetry, creative writing and authorship, and book cultures. Since 2005 she has advised 46 postgraduate students to successful completion in the disciplines of creative writing and literary studies. Bronwyn is the author of four books of poems: Flight Animals; The Wooden Cat and Other Poems; The Other Way Out; and The Deep North: Selected Poems. Her poems are widely anthologised, appearing most recently in Thirty Australian Poets, Australian Poetry Since 1788, Sixty Classic Australian Poems, and The Penguin Anthology of Australian Poetry. As a literary critic, she reviews poetry, fiction and non-fiction for Australian Book Review, The Australian, and other literary pages. Since 2012 she has been resident literary critic at The Conversation: ‘The Mind Field: dispatches on books, writing and literary culture’. As Poetry Editor at the University of Queensland Press, Bronwyn’s list included award-winning titles by Australia’s most distinguished poets – David Malouf, John Tranter, Laurie Duggan, John Kinsella, and many others. In 2003 she designed and implemented the Arts Queensland Val Vallis Award and the Arts Queensland Thomas Shapcott Poetry Prize. The Awards are on–going and are highly esteemed. She was the founder and series editor (with Martin Duwell) of The Best Australian Poetry series, and in 2011 she was appointed the inaugural editor of Australian Poetry Journal. As a guest at numerous national and international literary festivals, Bronwyn has delivered keynote speeches, delivered readings of her work, launched literary titles, and chaired and participated in panel discussions. She has also appeared on television and radio as a guest commentator, and she has been writer in residence at universities and secondary schools around Australia. Bronwyn has worked as a consultant to key organisations in the creative industries at a state and federal level and served as a Literature Board Member for the Australia Council for the Arts from 2004-07.